Mr. Payne completed his educational studies at Spokane Community College where he received his AA Degree. He then attended Eastern Washington University earning a BA in General Studies and a BA in Earth Science Education. He attended Heritage University to garner a Master’s Degree in School Administration and completed his Superintendent Certification from Washington State University. Payne used his love of earth science to work for the National Forest Service as a wildland firefighter and engine foreman prior to starting his career in education. Mr. Payne began his work in education teaching grades 6-8 in his hometown school at Nepelem Elementary School. 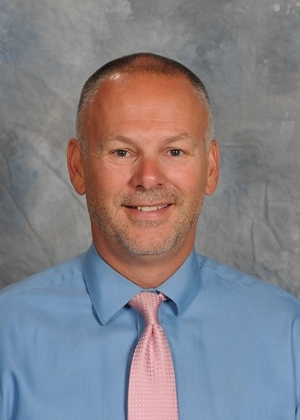 After spending five years in the classroom, he made the move to take on a dual role as Superintendent and Principal for the Keller School District. He was hired by College Place Public Schools in 2001 as the Superintendent. In addition to his role as Superintendent, Mr. Payne also serves as the designee to handle questions and complaints of alleged discrimination: Civil Rights, Title IX, and Section 504 Coordinator for College Place Public Schools. He can be reached at (509) 525-4827 or tpayne@cpps.org. Mr. Payne grew up on an 80-acre ranch 9 miles outside of Nespelem WA on the Colville Indian Reservation. He was the middle child in a family of 7 children. His father was a registered Colville Indian and worked as a diesel mechanic/fabrication for the Bureau of Indian Affairs. His mother stayed home to care for the family. He enjoys spending time with his family, his wife Sheliah of 30 years –they met in Kindergarten- and their three lovely daughters. In his spare time, he enjoys softball, basketball and time spent on his dirt bike. Mr. Payne is most known for saying that “The people are more important than work.” His personal mission at CPPS is to love and appreciate kids for where they are and make sure their basic needs are met so that they can learn and become productive members of society.